There are many ways to go about getting screened. We are a starting place. Get locations, resources and peace of mind. Treatment is a path that many women have taken before you. Browse our video library featuring their stories. Get the tools and info you need to be prepared. You have chosen to support someone who is receiving medical treatment. We are here to support you. Does someone you know have cancer? There is support for you. We are dedicated to your health. Learn more about our partners. WHICH HERO FROM ALASKA’S PAST ARE YOU? Find out if you qualify for free or low cost screening with this easy financial app. Three simple questions. One minute of your time. Worth it in every way. Click here! Your budget. Your health. Your time to make good economic decisions. Don’t leave money on the table, if you qualify for assistance. Hint: more people qualify than you’d guess! Learn more. Live your life to the fullest. We heal best when we heal together. These simple tips can make a difference in your life today. Learn more. 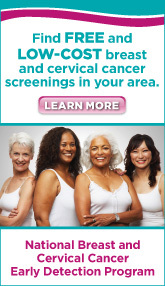 Low cost screening at a location near you. You’re ready to make the time to take care of you. Here are locations across the state to help you on the way. Learn more. The Alaska Breast & Cervical Health Partnership is supported in part by the Centers for Disease Control and Prevention (CDC) under the National Breast and Cervical Cancer Early Detection Program. We are working together to increase cancer screenings and save lives.